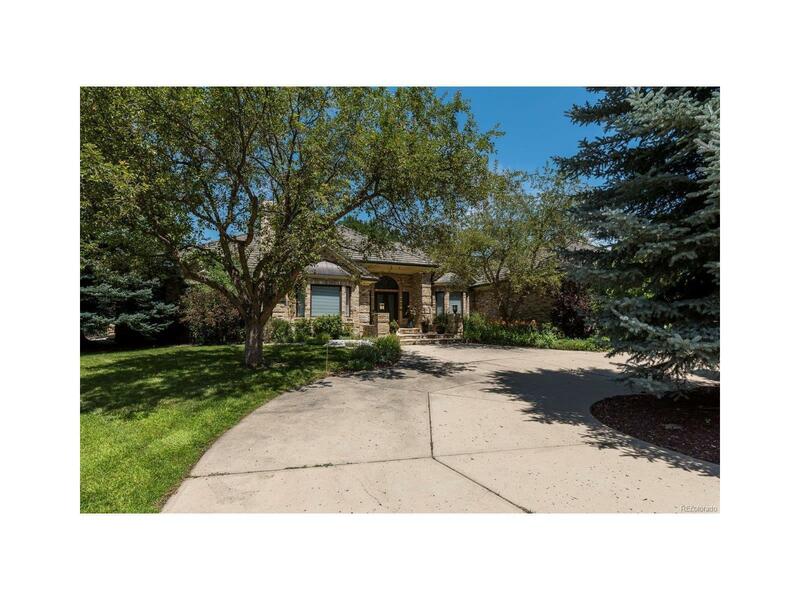 A chance to own a coveted spot on a cul-de-sac in this private Cherry Hills enclave. Situated along the bridle path, this walk-out ranch lives large on the main floor with high ceilings and a sunny, open floor plan. Renovated with a top of the line gourmet kitchen that leads out to the patio overlooking the tropical pool setting. The grand main floor master suite is private and luxurious across from the large wood-paneled office. Three en-suite bedrooms are ready for your clients' personal touch. The walkout basement is perfect for entertaining with a full bar/kitchen, recreation area, complete theater, exercise room, guest suite and abundant storage. Smart home system controls lights, climate, camera and more. There are two dishwashers and two refrigerators (other). This home has it all!